After reaching the group of lower fibo levels, Eurodollar started new correction. Stop on my buy order is already in the black. Future scenario depends on how price will move at local level of 38.2%: if it rebounds from this level, pair will start new descending movement. 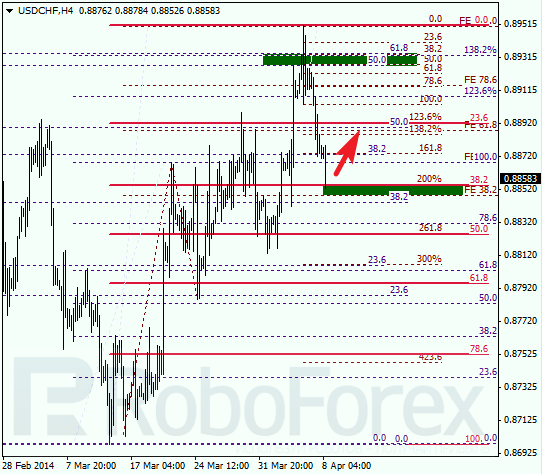 As we can see at H1 chart, market reached its lower target levels and rebounded from them inside one of temporary fibo-zones. Most likely, pair will reach level of 38.2% in the nearest future. If market rebounds from it, I’ll try to find good entry point to start selling. 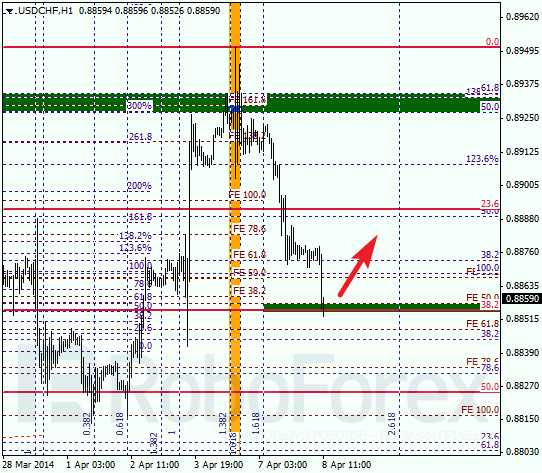 Franc has already reached level of 38.2% and Take profit on my sell order opened earlier worked. Right now, I’m out of the market. In the nearest future, instrument is expected to rebound from current levels. After that, I’ll consider opening several short-term buy orders. 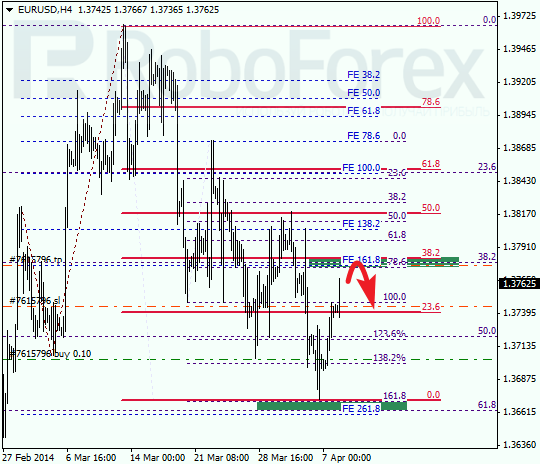 Earlier market rebounded from upper predicted targets and right now it is trying to rebound from lower levels. However, if instrument breaks them and start correction, I’ll start selling.